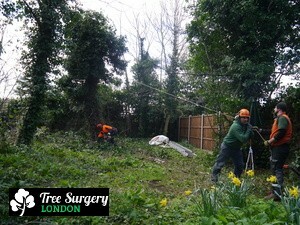 Tree felling means that we will remove the better part of your tree, but the stump will remain. 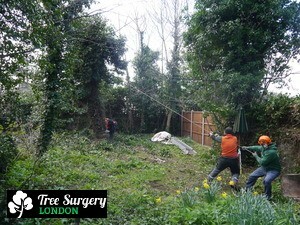 Ensure that the trees in your garden don’t threaten the safety of you, your family or your property. Call qualified and fully insured tree surgeons to remove old, diseased trees safely – whatever tree felling you need done in London we have an affordable and trustworthy service for you. We may be able to provide you with a quote only based on photos of the ill tree. Check out our customer reviews to see what other Londoners have to say about our professionalism and careful workmanship. 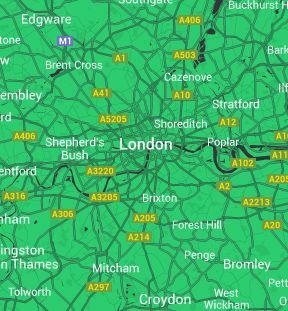 Call us any time on 020 3404 3305. Our customer care team are waiting right now to take your call and arrange your no obligation quote. You can use this number to book any other service as well. When you’d prefer us to call you, just go to our contact form and fill out your details – we’ll be in touch.